Oh, that stuck on crud on your horses cannon bones. There stands your beautiful horse - groomed to stunning perfection, but like a beacon of defeat , uggg, cannon crud that just won't come off no matter how much scrubbing and picking you do. 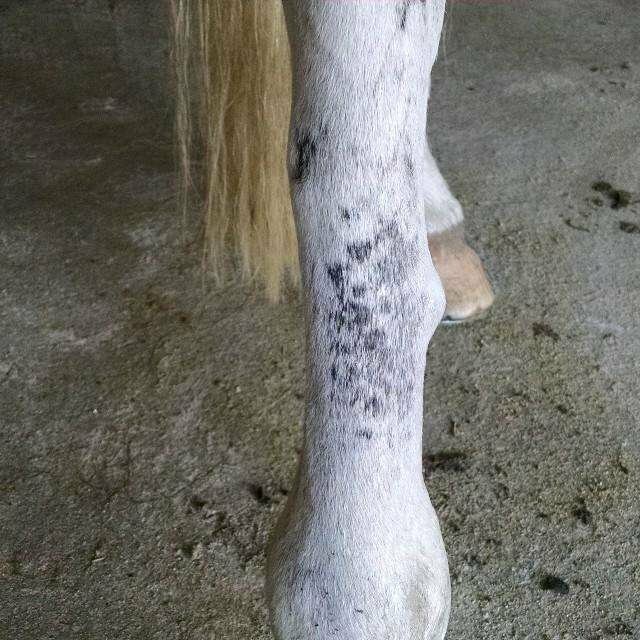 Sometimes you might see the same crud on your horse's face and ears. No worries... Getting it off is almost effortless with the gentle help of Equiderma Skin Lotion. Just follow the steps below for clean, healthy skin. 1. 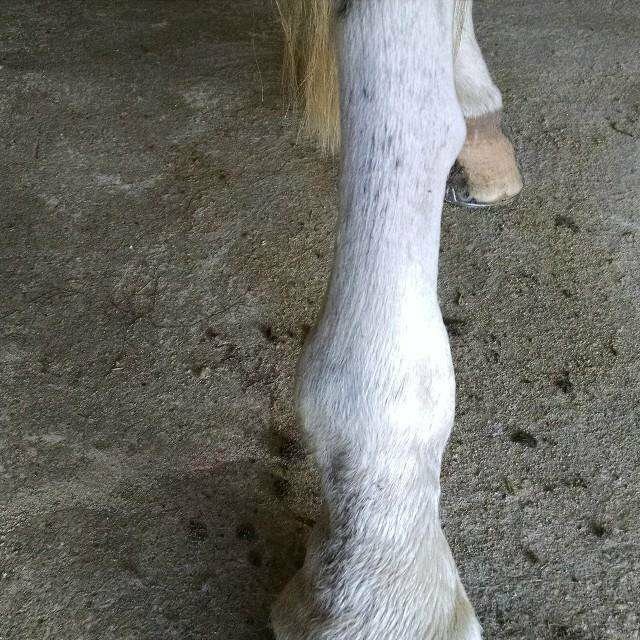 Just apply Equiderma Skin Lotion to your horse's cannon bones, leave on and let it work its magic. 2. The next day, shampoo the legs with Equiderma Neem Shampoo or any other gentle, non- medicated shampoo. 3. 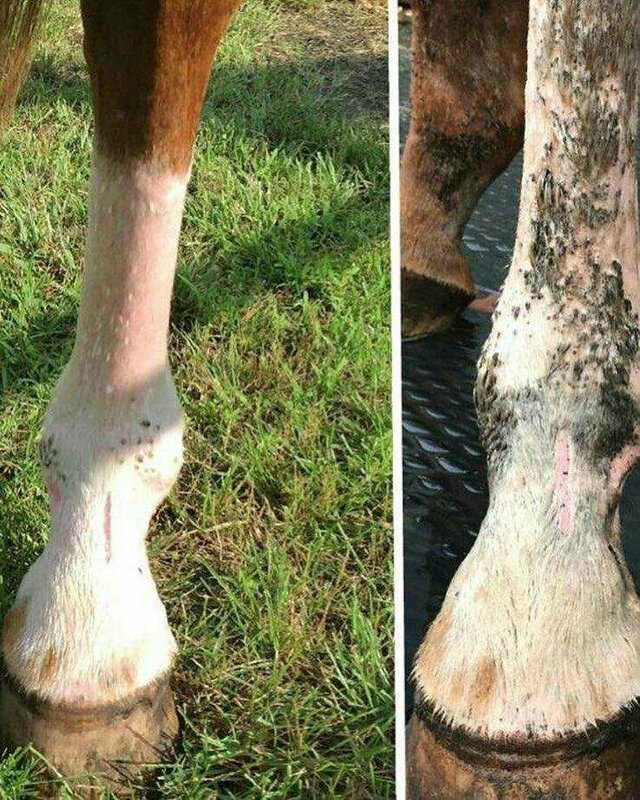 Rinse, dry well and say hello to your horse's smooth, clean, healthy, crud-free skin! 4. In some advanced cases you may need to re-apply Equiderma Skin Lotion to get off the last remaining bits of crud. Just follow the steps above. Yes, we like to use a small round tack sponge to control where the skin lotion goes. Apply a small amount in a circular fashion to the affected areas. Follow the same protocol as you would for the legs. Leave it on, wipe and rinse off the following day.